Author: Khalid Mourigh. Series edited by: Harry Stroomer. 18 pp. Roman, 443 pp. 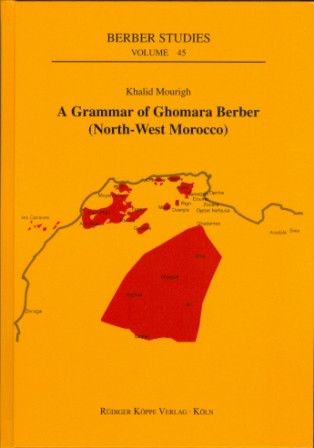 The present monograph – derived from the PhD dissertation of the author – provides a grammatical description of Ghomara Berber, a Berber lan­guage spoken in North-West Morocco by about 10,000 people. The grammar consists of a de­scription of the phonology, the morphology and the syntax. In the appendices a number of texts and a wordlist are included. The data were collected on a number of fieldwork trips. Ghomara Berber has been thoroughly influenced by Arabic resulting in parallel systems on al­most all levels of its grammar. The Berber part of the grammar shows a number of rare or unique traits as well. In the phonology the consonants, the vowels, assimilations and labialisa­tion are treated. Ghomara Berber has a number of spirantised consonants which contrast with their non-spirantised counterparts. In the morphology the parallel systems are most evident. The Berber and Arabic systems are treated separately in most chapters. Arabic diminutive patterns have been borrowed and applied to native Berber-morphology nouns extending the already ex­isting diminutive formation. Many Arabic verbs are borrowed without being integrated into na­tive morphology. They can only be conjugated using Arabic morphology. Different from many Berber languages, the adjective forms a word class of its own. 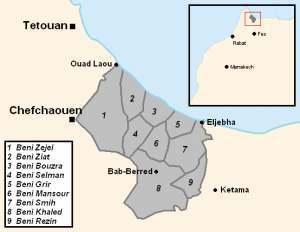 Arabic active and passive parti­ciples are taken over unchanged in Ghomara Berber. In the syntax the interaction between the Arabic and Berber in the relative clause and in mood and aspect presents interesting cases of language contact. This study is of interest to specialists of Berber, Arabic and Afro-Asiatic languages. It especially shows many interesting language contact phenomena.